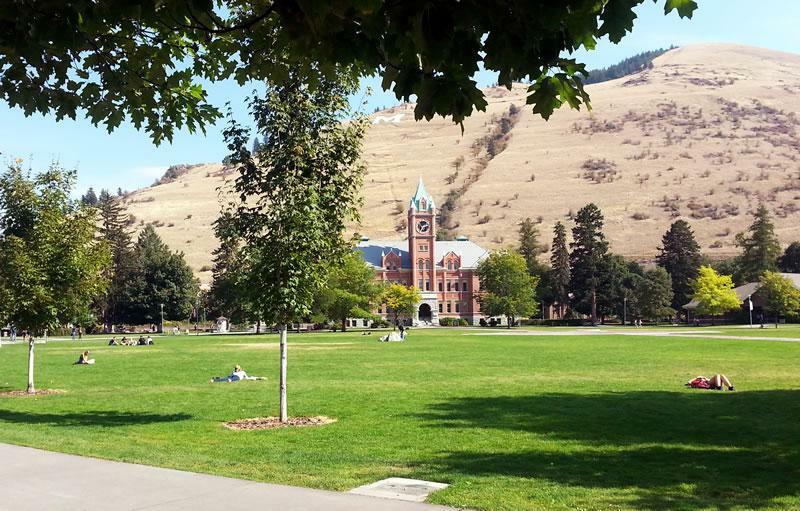 The University of Montana might just meet its modest student enrollment goals for fall semester, which starts this week. University of Montana President Sheila Stearns says she obsessively watches student enrollment projections. During a start-of-fall-semester convocation Wednesday, Stearns said that, while fall semester’s final numbers won’t be tallied for a few more weeks, she likes the early indicators crossing her desk. “It looks as if we are meeting the numbers for which we budgeted, which would be about an 11,400 headcount. I think we’ll be close to, or above that. I’m feeling pretty good about that," Stearns says. Eleven thousand four hundred students is a far cry from 2011’s record-busting spring enrollment of over 15,000, but it could have been worse. UM’s enrollment has steadily declined since 2011 and a big class of over 2,100 students graduated last spring. Enrollment is key. It determines budget and staffing levels. And President Stearns reiterated that far too much of UM’s budget funds faculty and staff compensation. “When you’re spending nearly 90 percent, or 85 percent, on personnel, it means you’re under-investing in recruitment, or retention or technology or perhaps even deferred maintenance." She says universities the size of UM should be spending roughly 70 percent of their budgets on personnel. That sets the stage for what Stearns describes as campus-wide "strategic cuts and smart alliances." "The first thing we need to do is face facts," Stearns says. "We may not like the facts, but to face them we will acknowledge it and continue to work very hard to push that back down." Stearns confirms 34 non-tenured UM lecturers have been notified their contracts won’t be renewed for Spring semester. She, however, adds that if financial circumstances permit, some may be re-recruited. The University Faculty Union has filed a grievance saying administrators are violating their own policies regarding hiring contracts for campus lecturers.